Hey there! Are you getting your shopping list ready for the best winter farmers’ market in New Hampshire? Sure hope so! 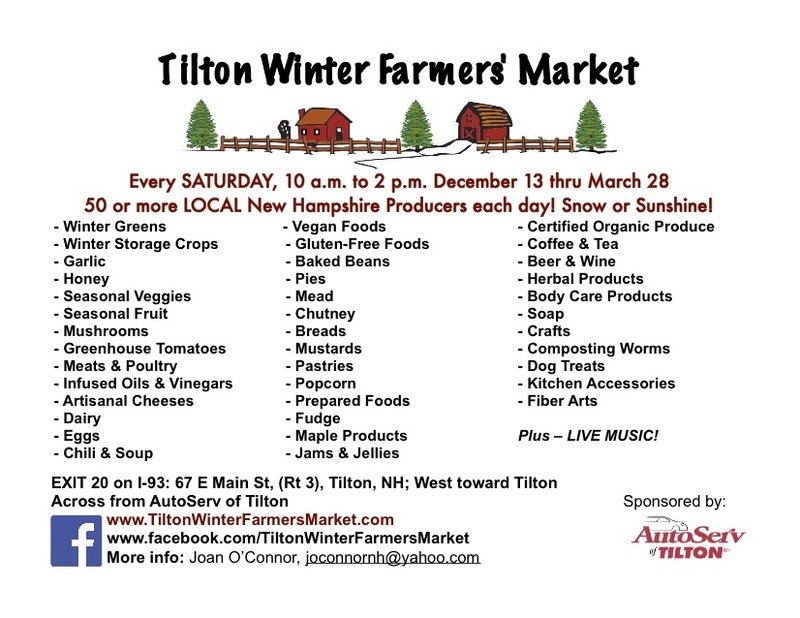 Opening day of the Tilton Winter Farmers’ Market is set for Saturday, December 13, 10 a.m. to 2 p.m. For the 2014-2015 season, we’ll be open on Saturdays, every week through the end of March, and we’re expecting more than 50 vendors this year! Visit our winter market website and sign up for updates! See you in a few weeks! ‹ Thanks for a Great Season!